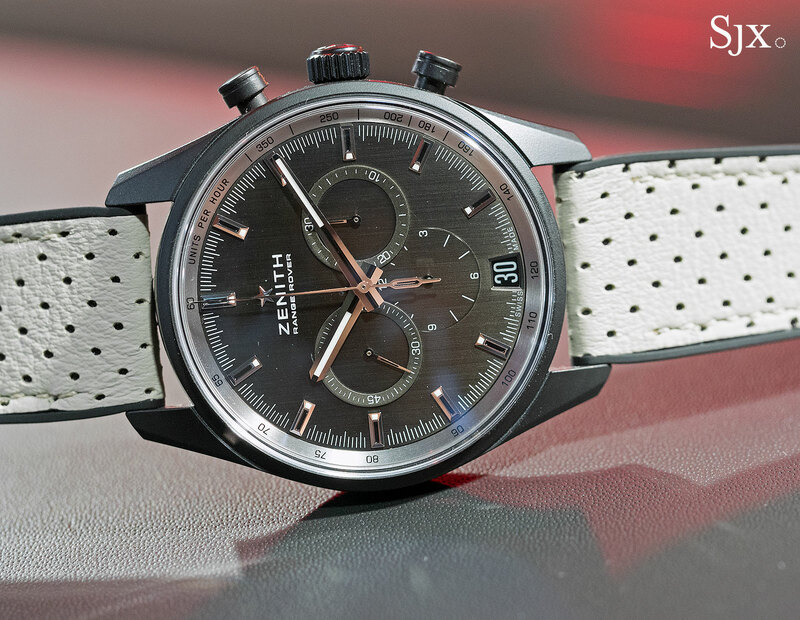 Zenith inked an agreement with Land Rover last year, with the first result of the tie-up the El Primero Range Rover Special Edition. 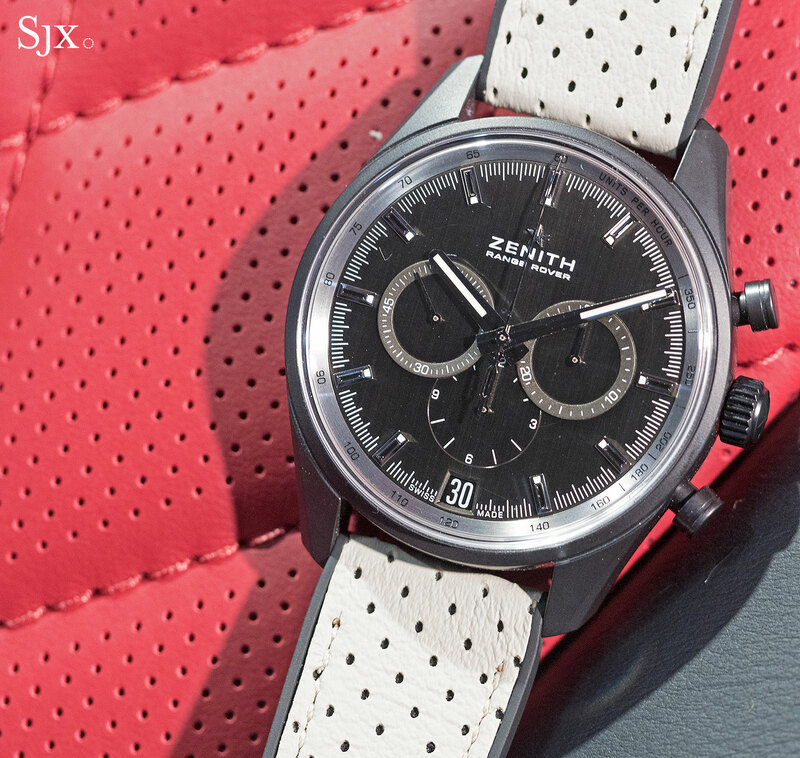 Monochromatic and no-nonsense in style, the Range Rover edition is the first Zenith wristwatch with a ceramised aluminium case (recently joined by the new El Primero “Panda”). Like the famed off-roaders, the Range Rover wristwatch is intended to be sporty, functional and recognisable but not flashy. Consequently the Range Rover watch makes only discreet references to the British carmaker – at a distance there’s barely any giveaway that the watch has anything to do with an automobile. 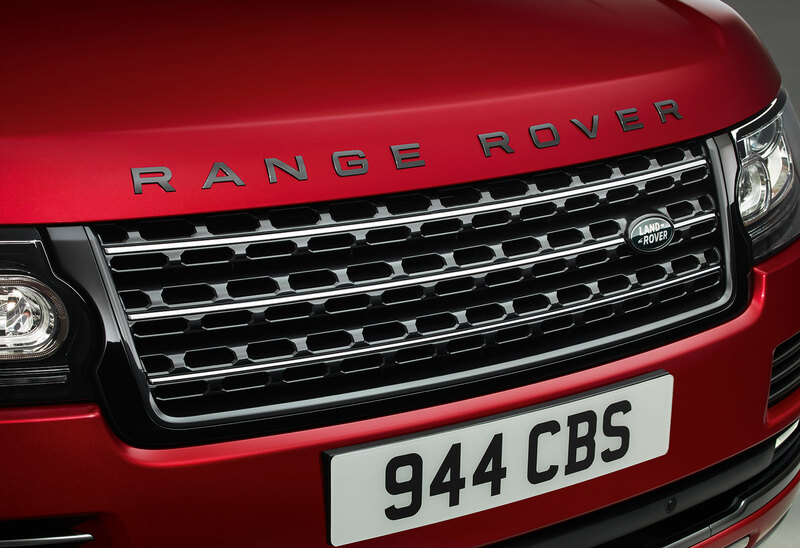 In fact, the only allusions to Range Rover is lettering at 12 o’clock, and the oblong tail of the seconds hand, which is designed after the grille of the luxury off-roader. Simple as it is, the unfussy design is a refreshing departure from typical automotive-inspired watches, which tend towards carbon fibre inlay, wheel rim rotors and brake calliper pushers. The dial is a dark grey with a vertical brushed finish, with bright white Super-Luminova on the hands and hour markers for good legibility. 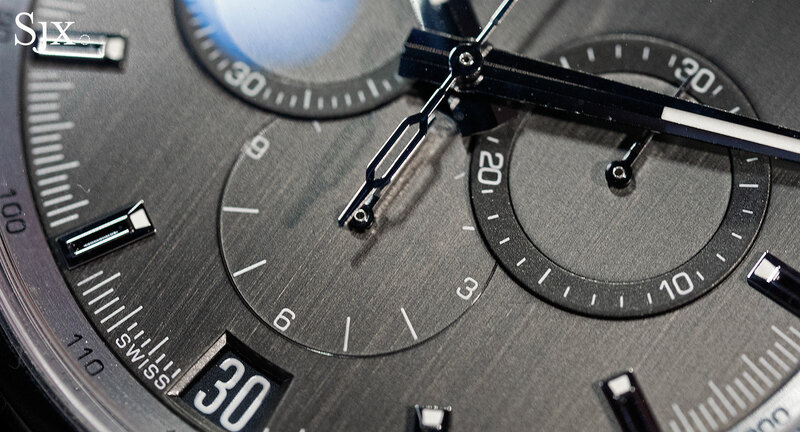 The only design drawback is the overlapping sub-dials, something common to nearly all El Primero watches. While the larger sub-dials suit the large case size, the overlap looks peculiar. The watch also feels functional, being lightweight for a large watch. 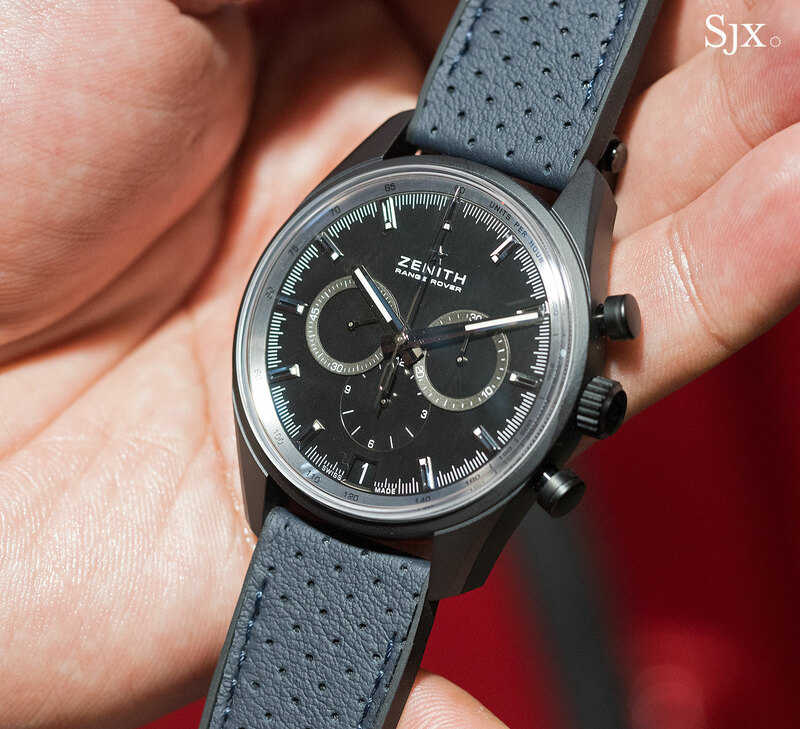 The case is 42mm in diameter and 12.75mm high – standard for the El Primero – but weights just 40g, less than a third of the ordinary steel model. That’s because the case is aluminium, a light but soft metal, that’s undergone electrolytic oxidation. This creates a thin but scratch resistant ceramic layer on its surface, making it more robust than ordinary aluminium. The material is similar to the “Composite” cases used by Panerai. Inside is the calibre 400B, the standard El Primero chronograph movement, but with the Range Rover logo on the rotor (which also repeats on the case back). And the final Range Rover-related detail is the top lining of the leather strap – available in ivory or dark blue – which is the same hide used for the interiors of Range Rovers. The El Primero Range Rover Special Edition (ref. 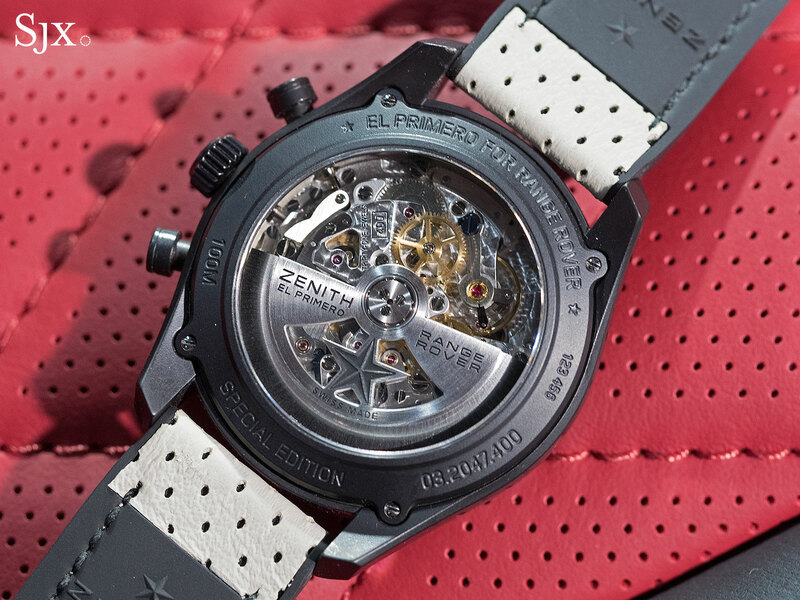 24.2040.400/27.R797) costs US$7700 or €7900, and is available from Zenith boutiques and retailers.